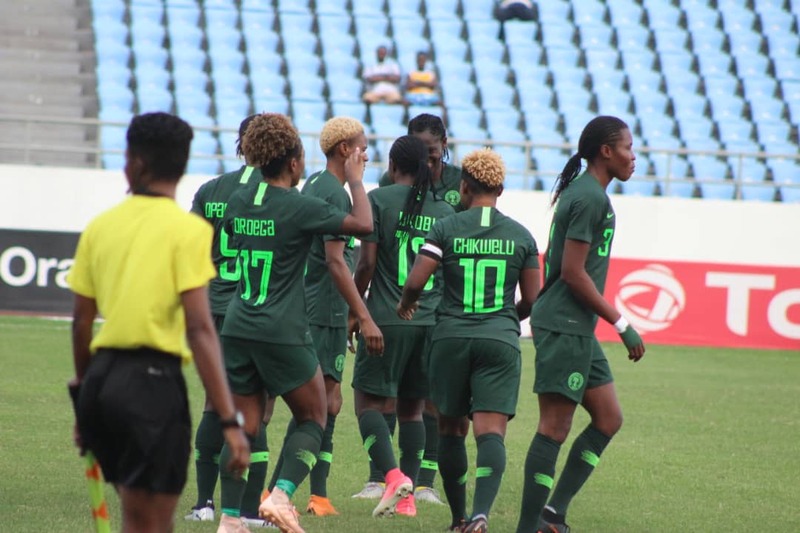 The Super Falcons of Nigeria, yesterday, progressed to the semi-final of the Africa Women Cup of Nations after cruising to a 6-0 win over the Nzalanaga Nacional of Equatorial Guinea at the Cape Coast Stadium in their final group encounter on Saturday. Francisca Ordega’s opener and Asisat Oshoala’s hat-trick handed the Super Falcons a comprehensive first-half advantage as Desire Oparanozie and Rita Chikwelu added the rest after the interval to help the holders coast past their central African foes. With Zambia forcing South Africa to a 1-1 in the other group B encounter, the holders confirmed their passage to the last four, having ended their group stage campaign in the second position. Despite the draw, Banyana Banyana, claimed the Group B summit with seven points, while Zambia finished third with four. Going into the encounter, Thomas Dennerby’s side were in dire need of a win to reach the last four, regardless of the outcome of the game between Zambia and South Africa in Accra. 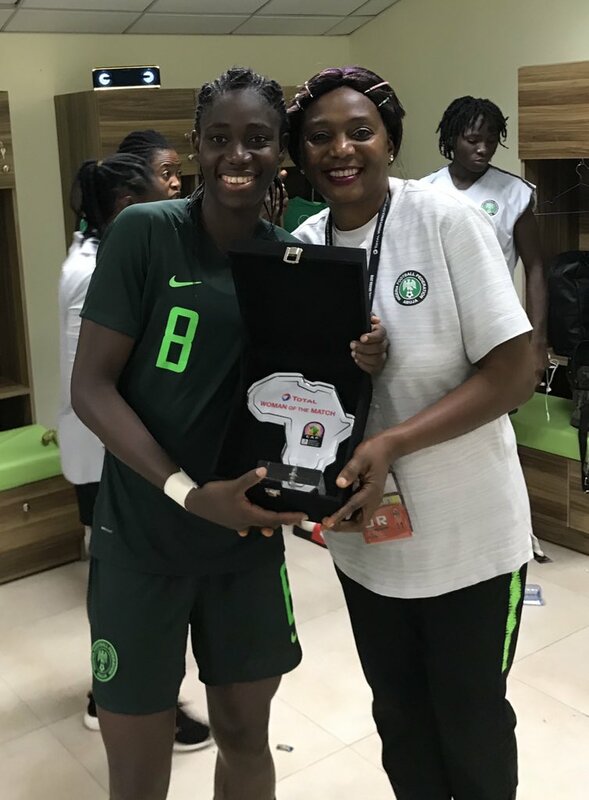 Ordega, who bagged the Player of the Match award against the Shepolopolo, opened the scoring for Nigeria in the 10th minute and Oshoala ended her Awcon drought, scoring her first goal in five straight match three minutes later. The Dalian Quanjian forward extended their Super Falcons lead to 3-0 and grabbed her brace of the match in the 23rd minute before netting her hat-trick in the 10 minutes later to put her side 4-0 up at half time. Three minutes after the restart, the ruthless Nigerians continued from where they left it in the opening half with Oparanozie adding a fifth of the match through a brilliant pass from Ordega. 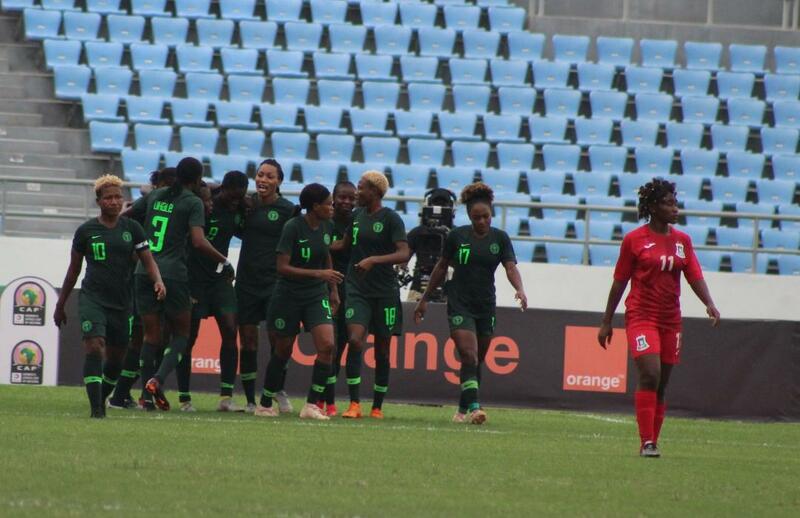 Nzalang fought to keep the Nigerians at bay but that did not last for too long, captain Chikwelu managed to force her way through to score the sixth to wrap up their second big win on the bounce. With the victory, Nigeria have set up a semi-final date with last year’s finalist Cameroon at the Accra Sports Stadium on Tuesday, November 27, 2018. 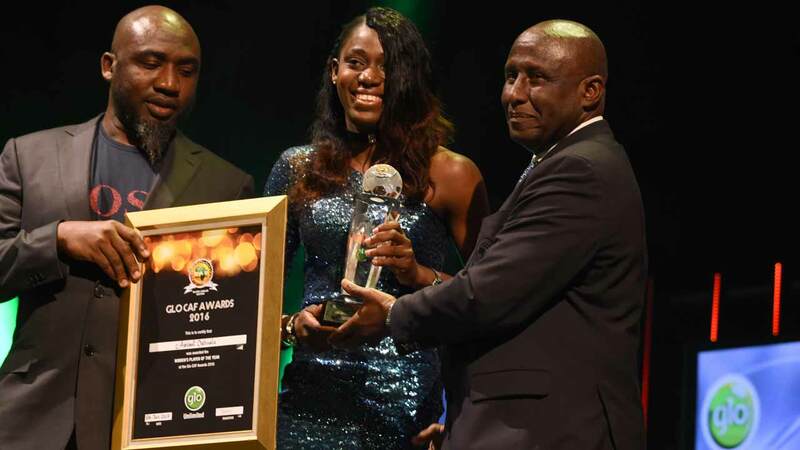 Nigeria scooped four awards at the 25th edition of the Glo-CAF Awards held Thursday night in Abuja. The Super Falcons opened the floor on the night as they emerged winner in the Women’s National Team of the Year category. The Nigerian Ladies finished ahead of Cameroon and South Africa. Kelechi Iheanacho and Alex Iwobi were also winners as the Super Eagles duo won the Most Promising Talent and the Youth Player of the Year Award respectively. NFF president, Amaju Pinnick, received the awards on behalf of the Arsenal and Manchester City stars who were absent at the ceremony due to club engagements. 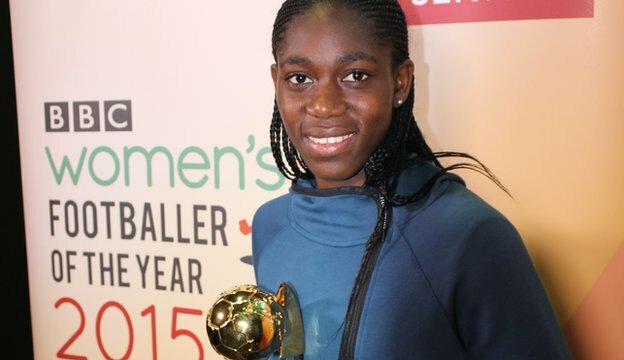 Asisat Oshoala capped up the glittering night for Nigeria as she was voted as Women’s Player of the Year. The Arsenal Ladies forward was also quite phenomenal in the period under review for both her London club and the Super Falcons. Nigeria’s President Muhammadu Buhari was also honoured with the CAF Platinum award. Super Falcons of Nigeria have emerged as African champions once again after a 1-0 victory against the Indomitable Lioness of Cameroon on Saturday, December 3. Desire Oparanozie’s 84th-minute strike was the difference as the Falcons edge their opponent right at their own backyard. The Guingamp star’s goal in the second half was enough to separate the two teams and give Florence Omagbemi’s women an eighth African crown. The Indomitable Lionesses, the tournament’s outstanding team, failed to repeat the fluency and brilliance of their defeat of South Africa in the semi-final, but Florence Omagbemi’s team found one more sumptuous moment during the closing stages of the game. With the victory, Nigeria have emerged African champions eight time and coach Florence Omagbemi makes history as the first person to win the continental championship both as a player and coach. Hosts Cameroon and record holders Nigeria go head to head in today’s final for the African women’s title at the Stade Ahmadou Ahidjo . After two weeks of fantastic football, the final two teams standing will slug it out for who will be crowned the Queens of African football. The match promises to be a pulsating encounter between two traditional rivals who always go at each other irrespective of the level of football being played. Hosts Cameroon will be looking for their inaugural African title when they take on record seven-time champions Nigeria in the Africa Women’s Cup of Nations final on Saturday at the Ahmadou Ahidjo Stadium in Yaounde. The Indomitable Lionesses are the only side that is yet to concede a goal at the continental competition and scored five goals in three games to amass nine points from three Group A matches before edging Ghana 1-0 in the semi-final. Enow Ngachu’s outfit have done an incredible job to impose their dominance backed by a determined and vehement home crowd that will be looking to back their side against a seasoned opponent. The Indomitable Lionesses have grown by leaps and bounds in each match and the final could not have come at a much better time than this. Ngachu has no injury worries ahead of the final and will be looking to dependable forward Gaëlle Enganamouit to end her goalless drought at the tournament so far. The reigning Caf African Female Player of the Year is yet to find the back of the net but has played a formidable role in Cameroon’s attack, most notably providing an assist for Akaba’s goal against Zimbabwe in their last Group A tie. The Romania-based forward, who wears the captain’s armband, plays an important role at the heart of the Indomitable Lionesses’ defence with the ability to execute good tackles and game reading. Her commitment and ability to focus under pressure at all times have inspired her side to four clean sheets in all their four games at this tournament. She also commands respect in the air on both offence and defence and is the number one choice penalty taker for the Indomitable Lionesses. She scored in their opener, a 2-0 win over Zimbabwe. As the face of the Indomitable Lionesses, Enganamouit, who is the reigning Caf African Female Player of the Year, is one whose individual brilliance is worthy to note. Her pace and dribbling skills provide a cutting edge against even the best defenders in the business and her experience and exposure present an aura of confidence in the dressing room ahead of their biggest challenge at this competition. The Russia-based forward is the ultimate playmaker for the home side with her defence-splitting passes, a worry for any opponent if they are to curb the Cameroonian offence. Her combination with Enganamouit and Michelle Henriette Akaba is one that will truly ask questions of the Super Falcons defence on Saturday. Reigning champions Nigeria will go in search of a record eighth title (in this format) as they face hosts Cameroon in the final of the 2016 Africa Women’s Cup of Nations. The Super Falcons will face a stern test against the Indomitable Lionesses in their fortress in Yaounde and will need to pull out all the stops if they are to cart home the coveted trophy. Cameroon are slight odds-on favourites to lift the trophy and are backed by a strong vociferous crowd at the Stade Ahmadou Ahidjo in Yaounde. Both sides have arguably been the best in the tournament and will fittingly meet in the final that promises to be full of fireworks. Coached by Florence Omagbemi, Nigeria started the tournament with a 6-0 hiding of Mali which signalled their intentions but it all went flat when they put in an insipid display against the Black Queens of Ghana. That game ended in a 1-1 draw. Some sunshine came into the Nigeria camp when the Super Falcons cleaned out Kenya 4-0 to top Group B and set up a clash with Banyana Banyana of South Africa. 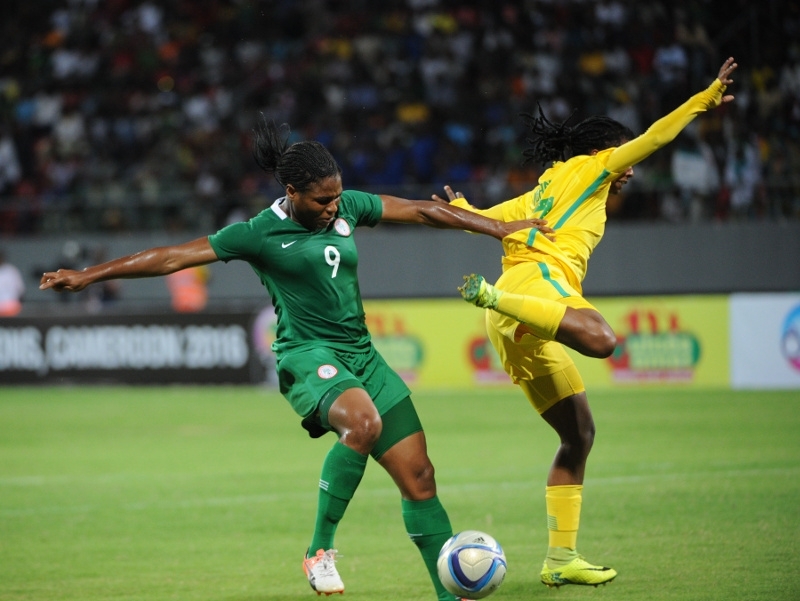 Nigeria prevailed through a solitary Desire Oparanozie goal to book a ticket to the final to face hosts Cameroon. Nigeria have no injury worries as Desire Oparanozie is fully fit and started the last two games against Kenya and South Africa. Goalkeeper Alaba Jonathan is also okay despite initial fears she received a knock in the semi-final against South Africa. Nigeria coach Florence Omagbemi has a full complement of players to choose from. The Arsenal Ladies striker is the poster girl of the Nigeria squad having come through the youth ranks. She is pacy, full of tricks and has a keen eye for goal. 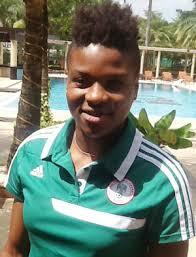 She is the tournament’s top scorer so far having netted in each of Nigeria group games. She hauled in four goals against a struggling Mali in the first group game. She will look to add to her tally in the final against Cameroon and lead her country to yet another title. The striker is in blazing hot form after shaking off her injury worries that saw her sit out the first two games in the tournament. The Evant de Guingamp striker has scored in the last two games against Kenya and South Africa. She is built like a tank and has great strength which she uses to her advantage. The game against Cameroon will suit her style and she will relish the chance to go against a stubborn Cameroon defence. This will be the third time Nigeria and Cameroon are meeting in the finals with Nigeria winning the previous two. The game will be live on SuperSport. at 4.15pm (CAT) or 3.15pm (WAT). 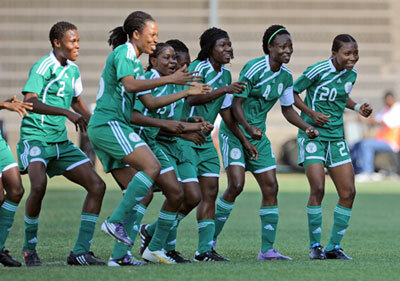 Nigeria thrashed Kenya 4-0 to reach the semi-finals of the women’s Africa Cup of Nations in Cameroon. At the start of the final group matches on Saturday, Nigeria, Ghana and Mali were all vying for the two semi-final places. Nigeria started quickly against Kenya in Limbe and scored with their second attack after just two minutes of play as Ngozi Okobi fired home on her first start of the tournament. Four minutes later, Nigeria doubled the lead as Faith Ikidi headed the ball into the top corner beyond the reach of Kenya goalkeeper Vivian Akinyi from a free-kick swung in from the left. Kenya did not give up and did their best to push forward and had some chances from set-plays to threaten the Nigerian goal without really troubling keeper Alaba Jonathan. But it was Nigeria who continued to create chances with Asisat Oshoala (pictured) looking dangerous as she looked to add another goal to the four she scored against Mali in the opening Group B match. Kenya came out and did their best after the break and even dominated for a short period of time but it was Nigeria who extended their lead in the 53rd minute.Okobi pushed the ball into the area and Oshoala ran in behind the defence and calmly clipped the ball across the keeper into the net. Officially, the Arsenal striker now has 6 goals at the tournament despite the goal against Ghana going in off Portia Boakye. Nigeria’s fourth came in the closing minutes as Desire Oparanozie beat a Kenyan defender to fire home from the edge of the six-yard area. In the other Group B fixture, Ghana joined the Super Falcons in the semis as they beat Mali 3-1 to book their place. Mali created several scoring chances and Ghana were struggling to take control of the match but it was the Black Queens who took the lead just before half-time. Linda Eshun hooked the ball over the head of the Mali keeper after the defence failed to deal with a ball in from the right. Ghana doubled the lead as Portia Boakye raced onto a long through ball behind the Mali defence and she unselfishly set up Samira Suleiman who had the simple task of side-footing the ball home. Ghana’s third came from the penalty spot as their only overseas-based player, Elizabeth Addo, who plays in Sweden, scored from the penalty spot for the third match in a row at the tournament. Binta Diarra pulled a late goal back for Mali but it was not enough for the Lady Eagles. Both semi-finals will take place on Tuesday with Group B winners Nigeria continuing the defence of their crown against South Africa in Limbe and Group B runners-up Ghana facing hosts Cameroon in Yaounde. Nigeria is a sports loving country. This can be observed during the weekends when people in cities like Lagos, Kano and Port Harcourt flood various stadiums and bars to watch the English premiership and other local and international sports tourneys. Patriots donning the green white green national colour are always proud to step out to represent this country and put the nation in the headlines of the international sports media. While many remain fans for the rest of their lives, a few others rise through the ranks to global acclaim as superstars in track and field events. Jovago.com, Africa’s Number 1 rounds up 5 sports personalities making Nigeria proud around the world in various international sports. This Sapele born athlete is Nigeria’s best-known track and field sports personality. She first came to limelight when she won a bronze medal in the long jump event at the Beijing Olympics in China in 2008. Her versatility led her to add 100 and 200 metres to her list of events. She compete in these events and has been very successful so far. Her sterling performances in Africa and at international events have won Nigeria international acclaim and recognition. Chika is the son of late Senator Uche Chukwumerije. He is best known for fighting in the sports of Taekwondo. His prowess in Taekwondo saw him inducted into the World’s Taekwondo Hall of Fame in New Jersey, as an ‘outstanding male African Olympic player’ in 2009. He won a gold medal at the 2007-all Africa games and in honour of his immense contribution to Nigerian sports, he captained Nigeria to the 2012 Olympic Games in London. His dedication to training and determination to win has endeared him to many. Chika has fought 39 registered fights and won 20 out of them according to taekwondodata.com. If you peruse a list of female football players in Nigeria, Oshoala will be number one on that list. Her dribbling skills, eye for goals and team play won her the first ever BBC Female World Footballer of the year. She defeated female football superstars like Marta-Brazil, Nadine Kessler-Germany, and Kim Little Scotland to emerge the winner. According to the Guardian: “Oshoala, who became the first African footballer in the Women’s Super League when she signed for Liverpool in January, won the Golden Boot and Golden Ball at the 2014 Under-20 World Cup, where she scored seven goals in six matches. He played table tennis as a hobby when he was young. But, today he is known all over the world as one of the best ping pong players. The peak of his career came in 2014 when he was declared the International Table Tennis Federation, ITTF, star player of the year. This was indeed a well-deserved award as he defeated the best including the Chinese players, the purported owners of the ping pong game to scoop the award. It was a moment to savour for many Nigerians! Mikel Obi came to the consciousness of football fans across the world at the 2005 U-20 FIFA World Cup in Netherlands. His telegraphic passes and sleek ball distribution made football pundits name him a talent for the future. He won the silver medal alongside other team members at the tourney. He was even billed to replace Austin ‘Jay Jay’ Okocha in the in midfield position of the National team. Today, Mikel Obi plays for Chelsea, one of the top teams in England. 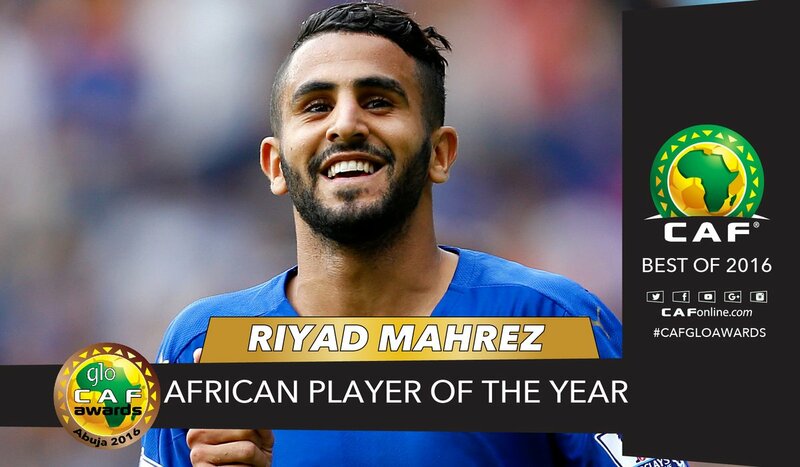 He is a key player for the team and has won the English Premiership, the Champions league and the African Nations cup. He is one of the few decorated Nigerian players after the great Kanu Nwankwo. In its decisive final group game at the Women’s World Cup, the United States will face an opponent with a spur of motivation that traces back to a horrifying tragedy of unthinkable magnitude. The global soccer audience didn’t know much about Nigeria coming into the tournament and all it understands now is that the African champion is a team that’s fast, talented, unpredictable and occasionally lacking in defensive organization. But behind all that the squad carries a burning purpose in its quest to emerge from the toughest group in the competition. The girls referenced by Oparanozie, 21, are those kidnapped in Nigeria by Boko Haram, the Islamic Jihadist terrorist group based in the northeast of the country. A reported 276 girls, some as young as 9, were abducted by Boko Haram from the town of Chibok in April 2014. Despite widespread global condemnation and some rescue attempts of mixed success, the whereabouts of most of the girls remains unknown. Nigeria is battling the odds to emerge from Group D. After a stirring comeback against Sweden in its opening game to tie 3-3, it looked out of sorts against Australia and slipped to a 2-0 defeat. A victory against the U.S. at BC Place on Tuesday should be enough to book a spot in the round of 16. Any other result would almost certainly lead to elimination. Nigeria has, however, become one of the more popular teams of this World Cup, capturing the public imagination with its lively attitude, its gritty comeback against Sweden and the noisy, colorful and delightful supporters who have cheered its every move. 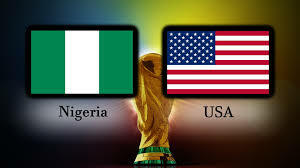 Yet with the U.S. not only a favorite to win Tuesday’s game but also the entire tournament, the Nigerian team faces an uphill task to advance. But that was never the only objective. 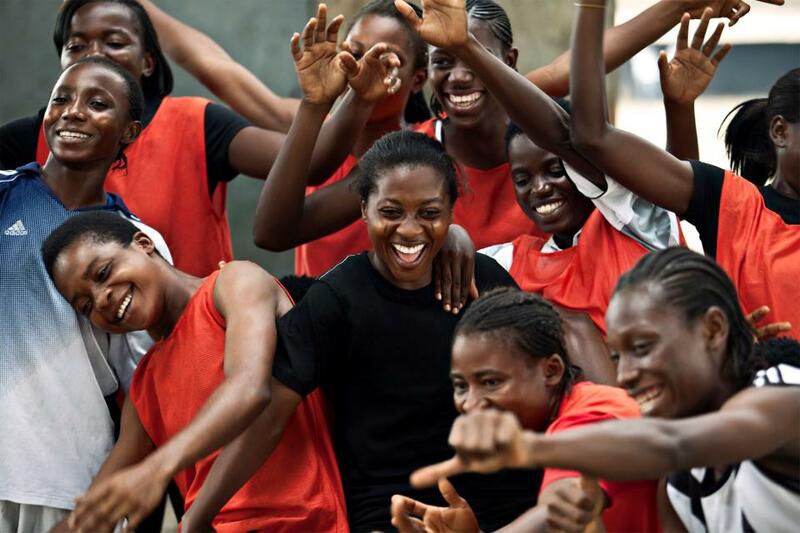 “We want to show girls and young women in Nigeria what is possible,” said Asisat Oshoala, a forward who plays for Liverpool’s women’s team in England. “It is difficult for girls in Nigeria. There is not much support. People don’t want them to play soccer or don’t understand why they want to play. To a large extent, much of what happened to the victims of the Boko Haram kidnapping is still a mystery. There has been much speculation, and it has been suggested that some were brainwashed by Boko Haram and trained to become female suicide bombers, while others were sold as slaves or married off to extremist fighters. The Nigerian squad is a work in progress, a young and emerging group that doesn’t yet possess the talent of a country like the U.S. But they have spirit, a purpose to fulfill and the ultimate emotional motivation. Any group of athletes with that kind of intangible inner drive cannot be discounted. Nigeria and Liverpool forward Asisat Oshoala has been named as the BBC Women’s Footballer of the Year. The 20-year-old forward is the first player to win the new award from the BBC World Service, voted for by football fans around the world. She beat Spain’s Veronica Boquete, German Nadine Kessler, Scot Kim Little and Brazilian Marta to the honour. “I would like to say thank you to the BBC, to my fans around the world and to everyone who voted,” she said. 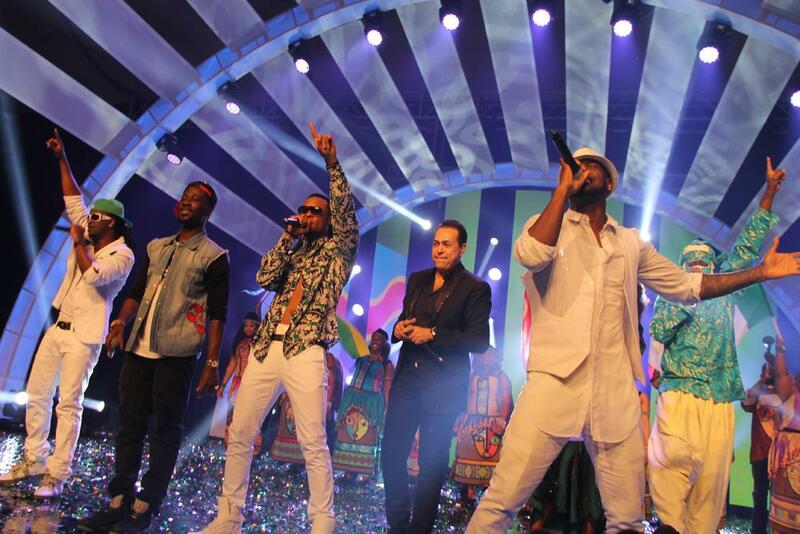 The award is the first of its kind hosted by a global broadcaster. 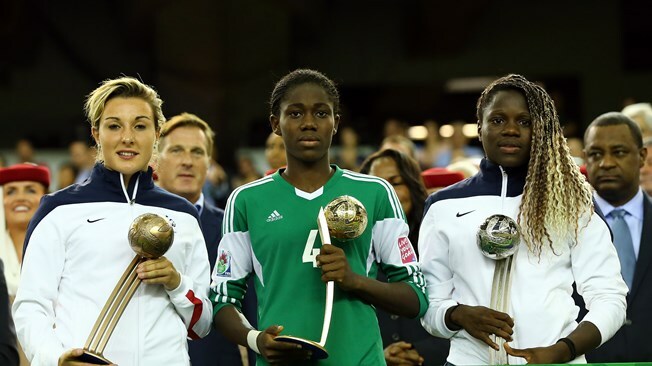 Oshoala, who was the youngest player to be shortlisted, was the leading scorer at the Under-20s World Cup in Canada last summer and was voted the tournament’s best player. Her performances led Nigeria to the final, where they were narrowly beaten by Germany, and she was also a major influence in the senior Nigeria team who won the African Women’s Championship in October. That ensured their qualification for this summer’s World Cup in Canada, which begins on 6 June. Oshoala said the honour was a big lift for Nigeria before the World Cup and would help inspire young players in her homeland. “It’s a really good thing for us as a team because we now know that we have something great and now we want to go at the trophy,” she said. “We can do it, we did it in 2014 we can also do it this year as well. “There is going to be a lot of motivation for women’s football in Nigeria now because of this award because there are a lot of fans out there. “Support for women’s football in Nigeria is now growing very high. Asisat was the leading scorer at the Under-20s World Cup in Canada last summer and was voted the tournament’s best player. Oshoala signed for Liverpool Ladies in January 2015, becoming the first African to feature in the Women’s Super League, with manager Matt Beard calling her “one of the world’s top young footballers”. Mary Hockaday, controller of BBC World Service English, paid tribute to Oshoala. 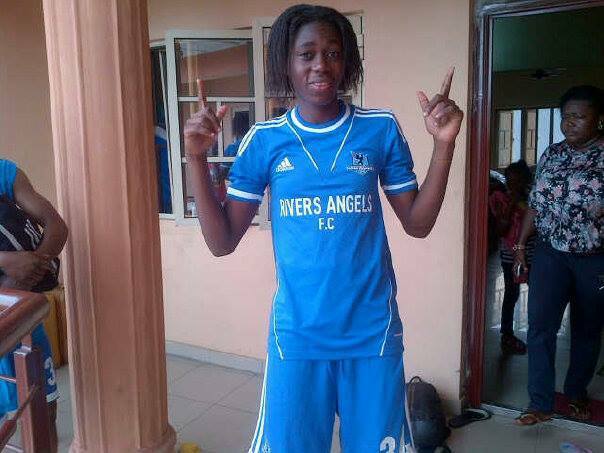 Rivers Angels clinched the Nigeria Women Premier League after defeating Edo Queens 3-1 in Benin on Wednesday. A brace from Asisat Oshoala and Ngozi Ebere secured Rivers Angels the league title with Ifeoma Amos getting the consolation goal at the Samuel Ogbemudia Stadium. Edwin Okon’s ladies overcame fatigue following their Federation Cup win to silence their hosts in the four-goal thriller. Oshoala bagged her double in the first half before Amos pulled one back for the hosts. In the second half, Ebere‘s strike for Rivers Angels put the game out of reach for Edo Queens as they laboured to contain the attacking forays of the visitors. The league trophy is Rivers Angels’ first in four years and third since inception of the competition in 1990 with runners up Pelican Stars the most winners on seven occasions, followed by Delta Queens who won five times. Sunshine Queens and Osun Babes finished third and fourth with 33 and 32 points respectively, while Confluence Queens and Nasarawa Amazons came fifth and sixth with 31 and 30 points apiece. In seventh and eighth spots were Ibom Angels and Taraba Queens with 27 and 24 points respectively, while Delta Queens and Bayelsa finished ninth and tenth with 21 and 20 points each. Meanwhile, FC Robo, COD Queens, State House of Abuja and Martin White Dove have gained promotion to the elite division. True to their pre-match boast, the Super Falcons yesterday proved to their male counterparts, the Super Eagles, that Nigeria is still a force in world football when they hammered Zambia 6-0 to book their passage to the semifinal of the ongoing African Women Championship (AWC) with ease. The Nigerian girls won their first game 4-2 against a resilient Les Elephantes of Cote d’Ivoire on the opening day of the championship on Saturday to win the hearts of many Namibian fans. Yesterday, the fans came in large number, clapping and cheering the Falcons against their fellow Southern African country, Zambia. The match was barely two minutes old when Delta Queens FC forward, Ngozi Okobi struck the first goal. The jubilation that greeted the goal had hardly died down, when Houston Dash of USA defender, Osinachi Ohale, made it two in the fourth minute. Desire Oparanozie made it three a few minutes later when she converted a penalty following an infringement by a Zambian defender, Grace Zulu, in the 18-yead box. The Zambian was given a marching order as it was her second bookable offence. 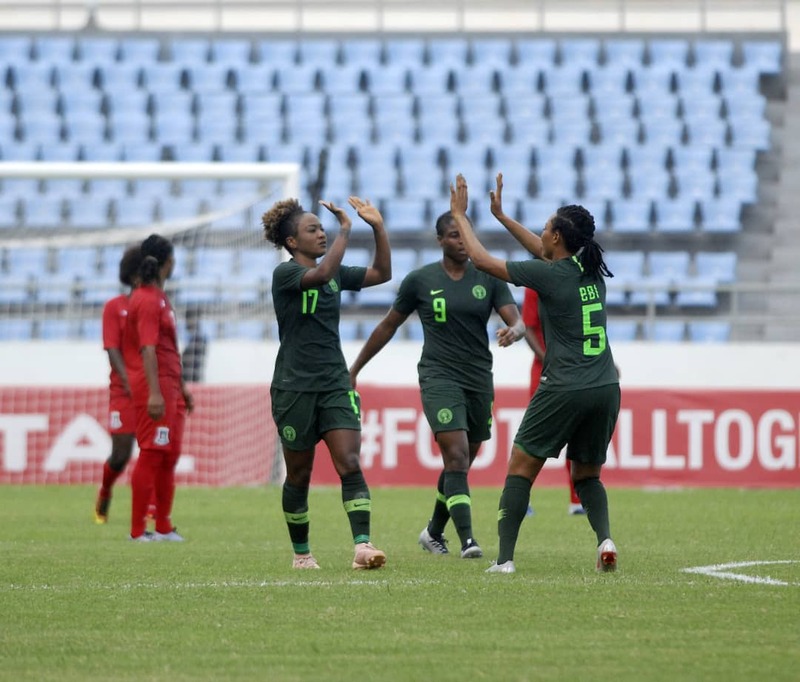 Early in the second half, FIFA U-20 Women’s World Cup golden girl, Assisat Oshoala, made it four for the Falcons, while Oparanozie increased the tally to five goals a few minutes later. She also took her goals tally so far in the competition to four, as she had scored a brace in Nigeria’s 4-2 win over Cote d’Ivoire on Saturday. Former African player of the Year, Perpetua Nkwocha, completed the rout with the sixth goal that received applause from the fans. Ngozi Ebere was voted the MVP in yesterday’s game. Meanwhile, the Falcons have appealed to Nigeria’s First Lady, Mrs. Patience Jonathan, wives of governors and other top women politicians in the country to rally round them the same way their husbands gave the Super Eagles morale and financial support at the last African Nations Cup held in South Africa.